COCA-COLA SCHOLAR. Senior Shayna Kling attended the Coca-Cola Scholar Banquet in Atlanta, Georgia. Kling is this year's only Coca-Cola Scholar from SHS. 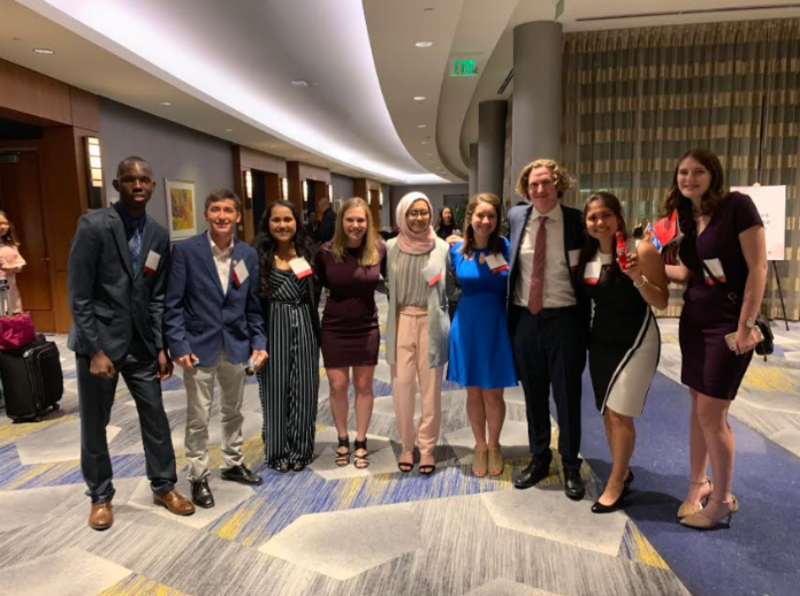 Senior and Coca-Cola Scholar Shayna Kling attended the 2019 Coca-Cola Scholars Banquet in Atlanta, Georgia. The reception and dinner took place on Thurs., April 4 at the Georgia International Convention Center. Before the banquet took place, the Scholars took part in a rehearsal. The event itself was “really fancy,” according to Kling. Leadership training was also included in the event. Each Coca-Cola Scholar had their own table at the event filled with experts who came from all over the world. Spending time and talking to the experts was “super cool because they were interested in all I had to say,” Kling said. Approximately 600 people, scholars, and experts included were at the event. Past Coca-Cola Scholars spoke, and this year’s Scholars were told that the chance of becoming a Coca-Cola Scholar this year was 0.17 percent. Recognition was also given to the newest group of Coca-Cola Scholars, as they got to “walk across the stage and be honored for winning the Coke Scholars Award,” Kling said. In addition to having “deep conversations with scholars from across the country,” Kling went to the World of Coca-Cola, played games and volunteered to build furniture for the Furniture Bank of America. Kling also attended a party at Coca-Cola headquarters with the other scholars to celebrate their accomplishments. Kling described the party as similar to a Bar Mitzvah. This event allowed Kling to become friends with other scholars who she hopes to be able to visit but also hopes to keep in contact with people in the network, including the Facebook page made for alumni Scholars. People from all different backgrounds have been Coca-Cola Scholars, but all of them come together to leave a lasting impact on others and the world. “[It is] so cool that they are so passionate about helping the world and making it a better place,” Kling said. Kling never thought she would make it this far and be a Coca-Cola Scholar. She encourages anyone who is interested to apply because you never know what will come from it. To read more about Kling’s journey to becoming a Coca-Cola Scholar, click here and here.